What a day August 25th has been! Today, through over 100 viewing parties throughout the world (including North and South America, the Caribbean, Europe and Asia), and over the Internet to many people watching from work and home, the Salesforce universe was introduced to the Salesforce Lightning Experience, a gigantic change encompassing the framework, design, administration and use of Salesforce. Here are five key points I want to share from the unveiling of Salesforce Lightning Experience. This is just not a simple reskin of Salesforce. To say it’s simply a new UI would be akin to updating from a horse and buggy to a Tesla, and calling the switch an engine change. This is a new Salesforce from the ground up, starting with the Salesforce1 Lightning platform release at last year’s Dreamforce. This new framework allows for the creation of reusable and re-workable components that could be used across devices. Lightning is the framework in which Experience is built. Along with this, there are some focused changes to objects and long standing features which will be interesting to watch as Lightning Experience matures. Activities, an object in Salesforce you either love or hate, looks to have much more prominence within Experience, as shown in the new Home Page component “Assistant”, and in the record layouts (more on that in a moment). There are also hints of a major architectural change within Activities, allowing for multiple What ID’s. Finally with Lightning Experience, we have been introduced to the Lightning Design System, a new way to build excellent apps with Lightning. We are now able to create new apps for our Salesforce for use with a desktop, tablet or watch using the new Lightning platform. If you have used the new Lightning Process Builder, you have a sense of what the Design System is capable of creating. Right from the moment you log in, you’ll notice that this is a completely new look and feel. The tab bar? Gone. The side bar? Gone. The blue lines and box grids of Calendars, Tasks and Recent Items that make me nostalgic for the 2005 Internet? Gone. Replacing it is a modern, sleek look and feel that has considerable aesthetic and functional changes. To start, there is no more tab bar (Ah, I still remember when the tab bar was actually tabs much like a OneNote workbook). It has been replaced by a Nav Bar that simply has icons to navigate through. You’ll also see on the home page some new components, the most interesting one to me being called “Assistant”. A close look shows that the new Assistant component looks at Opportunities (or possibly any object) and let’s you know of issues such as overdue tasks, no open activities, or dormancy on the record (no activity for 30 days). The home screen in Salesforce Lightning Experience. Looking at a workspace layout, you see even more changes. The new workspace pages have an overview section at the top, pulling the top five fields from the compact layout to give easy access to the most important data included on a record. Below this, the detail for the record has changed in presentation as well, with record date being on the left side of the page (using about 2/3 of the screen size) while related lists and their details are available on the right side of the page. The detail section is broken into three ‘sub tab’ areas, named Activities, Collaboration and Detail. The Activities ‘sub tab’ area has quick actions for communications with the object, and a listing of the history. Collaboration is the new name for Chatter (I wonder if this means Chatter as a brand) and Detail includes the fields for the record itself. The biggest takeaway from the record layout that I see – no more needing to scroll and scroll and scroll to get to the bottom of a page for a related list! Lastly for the UI, I cried a tear of joy and excitement when I saw the new reports and dashboards. Above and beyond its clean, crisp feel, there was something very awesome about the dashboard…do you see what I see? That looks like more than three columns to me! 3) It’s a work in progress. This is definitely the beginning of a journey we are taking with Salesforce, and the switch to Lightning Experience will be one that will likely be finished (in my opinion) for Dreamforce 2016. Sixteen years and forty-eight releases is a massive amount of detail and system to switch over to Lightning Experience at once. 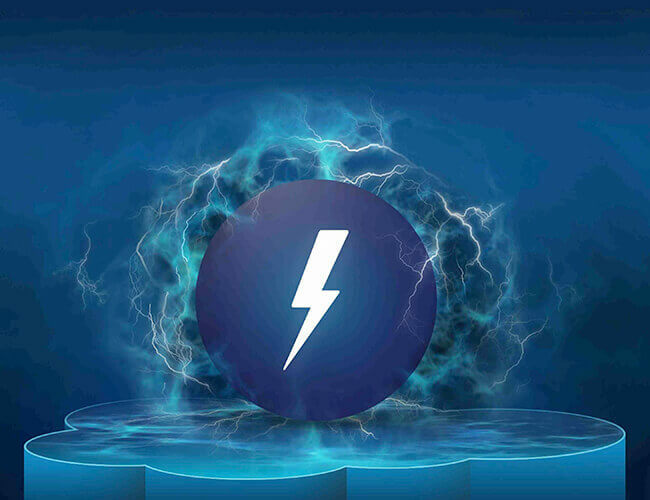 The first version we are seeing with Lightning Experience really is focused on the core SFA application – Accounts, Contacts and Opportunities. There are certain objects which will not be Experience ready as of right now, including Campaigns. This will definitely impact the readiness to use Experience in production. But that’s not what we are really being introduced to at this time – Salesforce is giving us an early preview of how this new Salesforce will look and feel, and allow them to gather feedback. And to be honest, I can’t think of a better way for a company to gather feedback then via a large scale release to everyone! This is changing what we know about Salesforce. And it’s going to be a lot to learn! Enter Trailhead – the wonder learning system released by Salesforce that will change how we learn Salesforce. Released today by the Trailhead team are four modules and eleven steps to help you get up to speed on Lightning Experience! The expansive learning process has been handled proactively with the release of training right off the bat. As a Salesforce MVP, I had early access to the learning modules, and I can tell you wholeheartedly they will help you get up to speed quickly. 5) So, what does it mean to my nonprofit? Lightning Experience is a tremendous change to Salesforce and it’s going to have a deep impact on how we use the application. Salesforce is awesome and giving us all an early preview of what Experience will be. Is it going to be production ready this week for everyone? Not at all. However, I would highly recommend that everyone signs up for an early release organization, use it as a sandbox and test it for your processes, go through the Trailhead modules to learn as much as you can, and be ready for the day when Experience is released for full use! What was your favorite or most interesting part of the Experience release that stuck with you? We would love to hear in the comments section what you’re thoughts are on this exciting news! Any insights on the impact/effect that the Lightning Experience will have on the Nonprofit Starter Pack? There are references in the documentation to standard action overrides being unsupported which makes me wonder about the 1:1 model. While the standard overrides cannot be overridden, I do not see this being changed as Lightning Experience becomes more production ready. When it comes to the impact and effect on NPSP, it definitely will, but I think in a good way (declaration: This is my humble and personal opinion). During Dreamforce I am hoping to sit and chat with Kevin Bromer and Judi Sohn to get their official feedback on Lightning Experience and how it will impact NPSP. Hi Nik, thank you for your post. I am looking forward seeing your feedback after you meet Salesforce NPSP folks. I am personally very excited to see that Salesforce partners embracing this new technology. Where can I sign up for an early release organization? Glad you liked it, Sergey. You can sign up for an early release org at https://www.salesforce.com/form/signup/lightning-ee-signup.jsp – I have heard through the twitters that they are prioritizing access by the number of lightning experience badges earned at Trailhead.